THESE GREAT TRAVEL BAGS ARE A MUST HAVE! PERFECT TO KEEP YOUR THINGS ORGANZIED ON ANY TRIP. 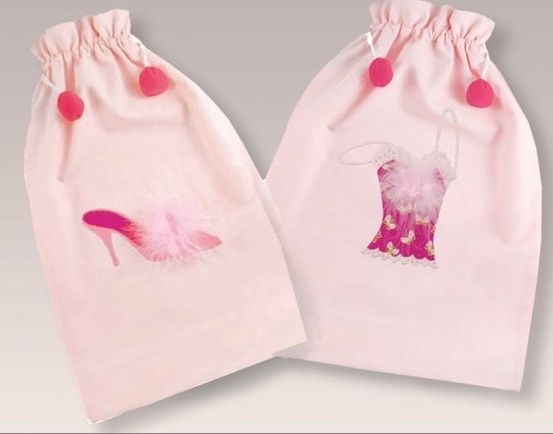 THEY ALSO MAKE A VERY PRETTY GIFT BAG FOR ANY "BRIDE TO BE" OR "BIRTHDAY GIRL". THIS ITEM WILK SHIP OUT WITHIN THREE DAYS FROM DATE PURCHASED. ALL PERSNALIZED AND MONOGRAMMED ITEMS ARE FINAL SALE.